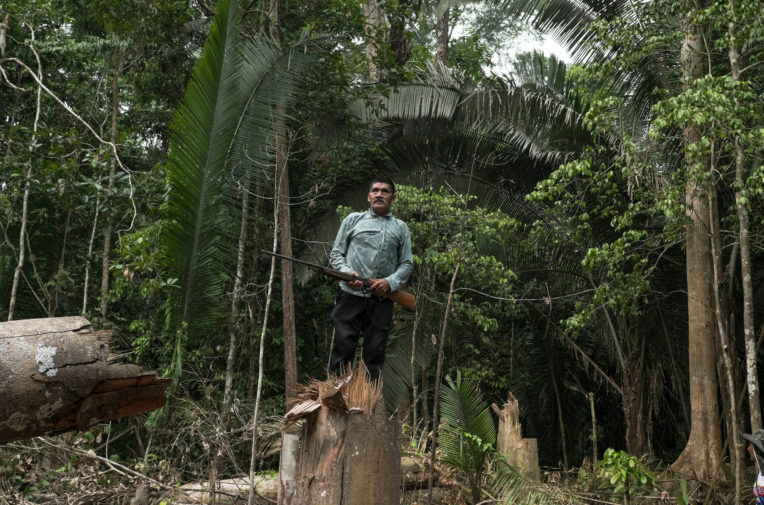 With worn single barrel shotguns slung over their shoulders, two Indigenous men tread quietly through the thick Amazon forest of their land, checking for illegal activity. 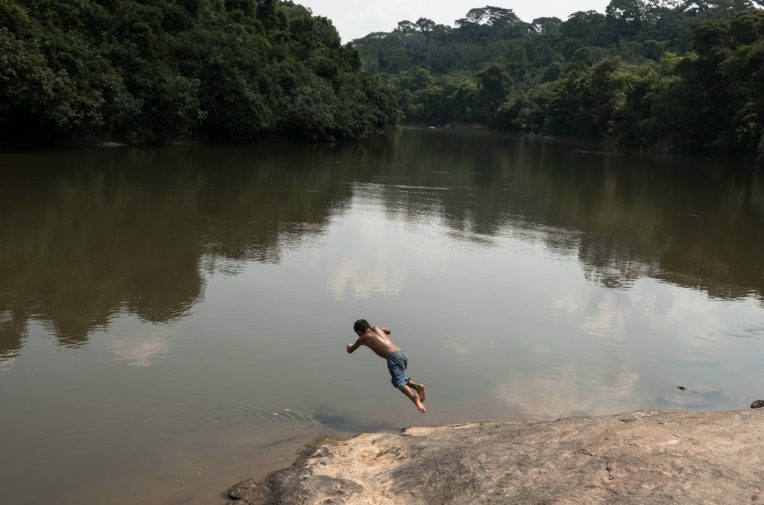 “Given the small numbers, both from the cultural and physical point, this tribe is at risk of genocide if strong measures are not taken immediately to stop the invaders, warns Buzatto. 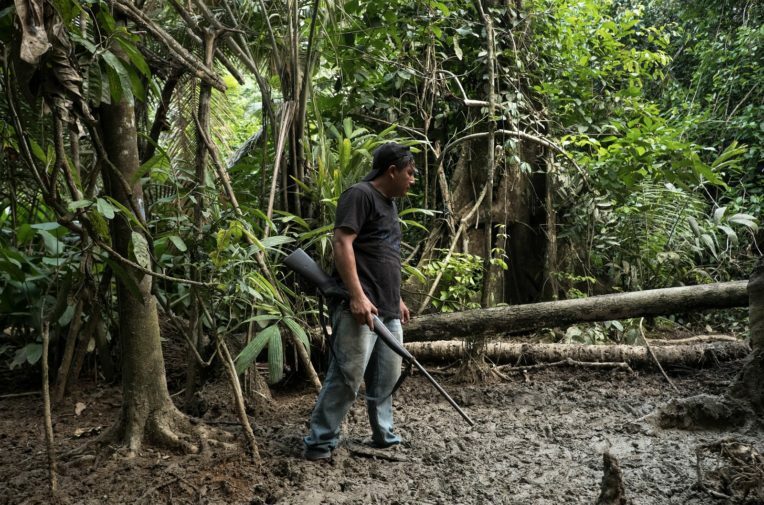 Adriano Karipuna pauses as he searches for signs of deforestation. Photo: Tommaso Protti.